On this page you can listen to and download my remixes and bootleg edits I've made, check out my older original music, and even hear some remixes other artists have made of my older songs. Soon I hope to work on new original songs as well! You can listen or download these from this page, or visit my Reverbnation site and my band profile page on my Facebook site too. Thanks for listening! 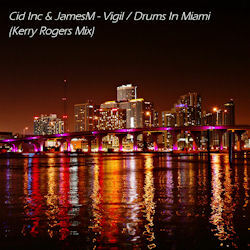 As part of my Freewaves Volume Three mix set, the fantastic producer Cid Inc. offered up his track, "Vigil", for free downloading on his Soundcloud page. I'd previously bought a cool effect-heavy accapella by JamesM called "Drums In Miami". I combined the two to make a unique club-friendly track that fit great with the set, and I wanted to offer it to you too! If you like it please share it! And if you use it in your DJ sets or podcast episodes, please let me know so I can share the news. Thank you for listening, and especially thank you for sharing! I really appreciate it! While making my Diesel 2011 Party mix, I wanted to include the song "Connected" by Kendi. But I liked both the original and the JS16 remix! So I made my own version, fusing the two together and giving it a new driving energy as well I think. Please check it out! Thanks to DJ Bolt from Australia for including it in one of his sets, Party In My Pants Mix #2 in December 2011. Let me know if you use it in one of yours! Not really a full-blown mashup, this fun and feisty track switches back and forth from "Attention Whore" by Deadmau5 and Melleefresh and "I Am Not A Whore" by LMFAO. At almost 11 minutes, it's great to play when you really have to go to the bathroom and it's on the other side of the room or building! I made this mixup for my Diesel 2010 Party Mix, which you can download from my mix sets page too! 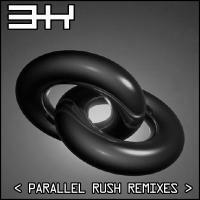 The incredible electronica outfit 3kStatic offered up their #1 MP3.com Progressive House song "Parallel Rush" for remixing, so I gave it a whirl. They liked it an included it on their Parallel Rush Remixes CD and one of their digital EP releases. You can still get their expansive original version on Amazon.com. And please visit the www.3kStatic.com site for more amazing music from this groundbreaking group! Created with Acid 2.0, Sound Forge 4.5, and loops from Twine's Intelligent Dance Music, Signals II, and a couple of awesome samples from Computer Music magazine's July 2001 CD. Cadmium is a silvery-white metallic element with an atomic number of 48 on the elemental periodic table. Find out more about Cadmium at www.webelements.com and www.cadmium.org. "Cadmium" was also featured on the Virus Domestica CD compilation from Silencer Records out of St. Louis in 2004! Created in Cakewalk 8 and I added some cheesy computerized voice samples in Acid. This song really grew on me, and I hope it'll grow on you too. It's a happy little trance-ish tune. Hopefully this song will inspire you to push into motion and get you onto the dance floor. Also check out the dub version without the vocals if you want. Enjoy! Hopefully captures that feel when your dancing at a club and the strobe lights come on to whip you into a frenzy. Darker beginning and end with a euphoric part in the middle, or maybe two songs mixed together? This is the MIDI version that I made in Cakewalk (with a few Acid bits thrown in). Please crank up the volume, click on a trippy screensaver or plugin, and TURN ON THE STROBE! This is the first half of my first ACID song. WARNING: strong sexual suggestions in this song may cause you to want to get busy! Or at least get up and dance. Contains samples from the awesome PC game Forsaken. The old MP3.com even gave it a Parental Advisory warning so you know it's got to be good... This song was also featured on the Fabulous Gay Tunes Volume 3: Lick CD compilation which included songs from up-and-coming GLBT artists! A weird little tune that would make a nice B-side. Steady and driving beat, simple synth line, and a mantra about love and attachment. Basically a song about overpopulation. Don't forget to wear your rubbers! 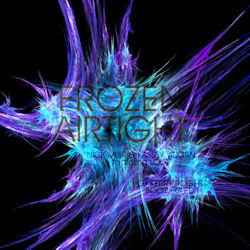 Nightfall was a song I started working on but never finished. It was inspired by the Isaac Asimov story of the same name and the music of Moby. One of my old MP3.com and HardcorePromo buddies, Nemo (MJ Niemann), slowed it up, tweaked the hell out of it, took it on a journey and now here it is. Listen to more great tracks from Nemo at www.soundclick.com/nemo!